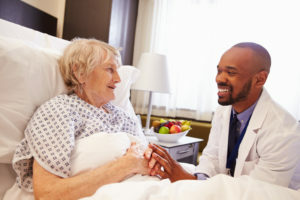 Focusing on the patient, listening to their concerns, being sincere, and showing empathy without judgment are all simple courtesies that create a favorable interaction and bedside manner. Take a minute to introduce yourself to patients and explain your role in their care. If you are going to spend only a little bit of time with them, make sure you inform them and talk about who will be taking over so they don’t feel abandoned. Throughout this process, offer the courtesy of your full attention. Sit down with them and avoid multitasking or appearing distracted. Patients might be in a mental whirlwind, so offering a few extra measures of comfort and providing reassurance could improve their morale. Facilitate a positive environment for understanding and solving your patients’ ailments. It’s important to validate their concerns and limit your assumptions; listen first, then repeat what the patient said, checking to ensure you are on the same page. Ask open-ended questions to help uncover more information; by encouraging the patient to talk, you could learn integral details about their symptoms and habits. Plus, patients who feel as though you took the time to understand them will be happier than those who did not receive this opportunity. Patients are entitled to full transparency when it comes to their health, so you should explore all possibilities without jumping to conclusions and then effectively communicate the subsequent tests or treatment plan. Remain confident but relaxed throughout your interaction. Be mindful of your body language and avoid defensive poses, like crossing your arms or habits of boredom such as tapping your feet or a pen. Making eye contact and smiling could make a huge difference during your interaction. Watch your patient’s body language, too. If he or she appears nervous or uncomfortable discussing something in public, offer to speak somewhere more private, like a consultation area to make sure he or she feels empowered to speak more freely. Remember not to be a walking medical dictionary. What could be a routine diagnosis or standard medical term to you could either sound terrifying or be life-changing news for your patient. Avoiding excessive medical jargon can help diffuse the situation and limit confusion, keeping your patient from becoming overly concerned or feeling embarrassed for not understanding what you’re saying. Take time to observe your patient’s reaction and offer to answer questions and explain deeper implications of the news. Being kind should not take too much of your time, but it’s possible that a patient could get off track and try to take up too much of your day discussing ailments or concerns. Make sure you stay in control of the conversation, staying warm but brief, so you can address your patient and deliver quality service. The entire interaction is based upon expectations. If the patient is aware of what is happening, then he or she is less likely to feel slighted if you must leave. Don’t be afraid to prepare a few phrases in case you need to exit the room quickly to deal with a situation. 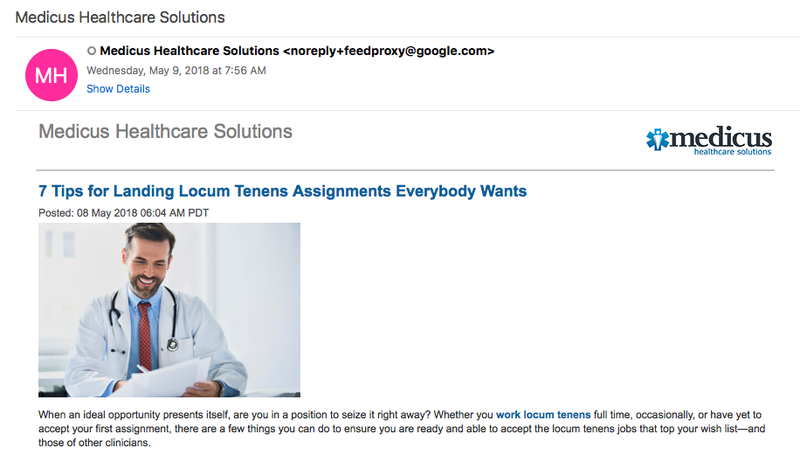 If you would like to make the most of practicing locum tenens, visit Medicus Healthcare Solutions, and call 855.301.0563 to speak with one of our experienced, knowledgeable recruiters today.